Leon Rodriguez, former director of USCIS in the Department of Homeland Security (DHS), testified at the trial, clearly explaining the distortions in the TPS termination process for Haiti, El Salvador, Nicaragua, and Honduras. Obviously, the Haitian economy is affected by natural disasters. While Trump’s defense team highlighted Haiti’s economic “progress” since the 2010 earthquake, Hurricane Matthew alone erased a third of the 2016 GDP, i.e. $ 2.8 billion. It had a powerful impact on food security “which has remained a significant challenge for Haiti. Haiti depends on imports to meet more than 50 percent of its food needs, and is extremely vulnerable to fluctuations in global food prices. Chronic malnutrition impacts approximately half of Haiti’s population. In recent years, food and nutritional security in Haiti have gradually deteriorated due to the impact of Tropical Storm Isaac and Hurricane Sandy in 2012 and three consecutive years of severe drought (exacerbated by El Niño). Hurricane Matthew also exacerbated food insecurity in Haiti”. It wasn’t Happel, nor Concannon, nor ourselves who report this, but the U.S. government itself in the Department of Homeland Security (DHS) Report of the Refugee, Asylum and International Operations (RAIO) dated October 2017 (page 11). THE SITUATION IS NORMAL IN HAITI, BUT DO NOT GO! 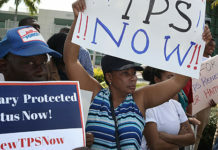 The State Department itself had sent warnings by diplomatic cable: it would be in the United States’ interest to renew TPS designations for El Salvador, Haiti, and Honduras and, specifically for Haiti, the repatriation of tens of thousands of TPS recipients would jeopardize the ability of the Haitian National Police (PNH) to guarantee security throughout the country. 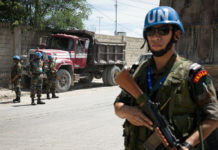 While the defense argued during the trial that the withdrawal of the UN mission, MINUSTAH, meant that the situation was back to normal in the country, the State Department itself had issued a travel warning still in effect: “Reconsider travel to Haiti due to crimes and civil unrest.” Brian Concannon of the Institute for Justice and Democracy in Haiti (IJDH), reports that the embassy does not even let its staff travel to several regions of the country. How could we then send back 59,000 TPS holders with their families to a country that cannot house them, provide health care for them, protect them? Not to mention educate them, guarantee employment for them, feed them! 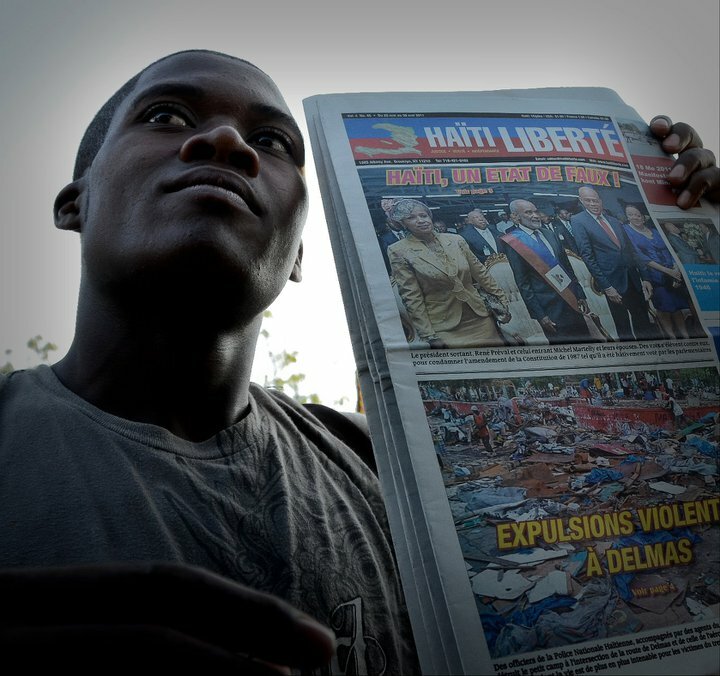 In October 2017, the DHS and State Department pointed to the danger and Haiti’s state of severe crisis. Yet the following month, DHS Acting Secretary Elaine Duke ended TPS for Haiti and other countries. How did we get there? To answer this question, the plaintiffs called two heavy-weight witnesses: Michael Posner, former U.S. Assistant Secretary of State for Democracy, Human Rights, and Labor (DRL), a founding member and President of Human Rights First (formerly the Lawyers Committee for Human Rights), and currently professor and co-director of the Center of Business and Human Rights at NYU Stern School of Business; and Leon Rodriguez, lawyer and public servant since 1988, including director of DHS’s U.S. Customs and Immigration Service (USCIS) from 2014 to 2017. Rodriguez described in detail the entire TPS process within the DHS. He called himself an expert on the issue, having been involved in about 15 recommendations to the DHS secretary in order for he/she to make a decision with full knowledge for a series of countries: re-designation, extension, termination. He recommended on one occasion a TPS extension for Haiti. 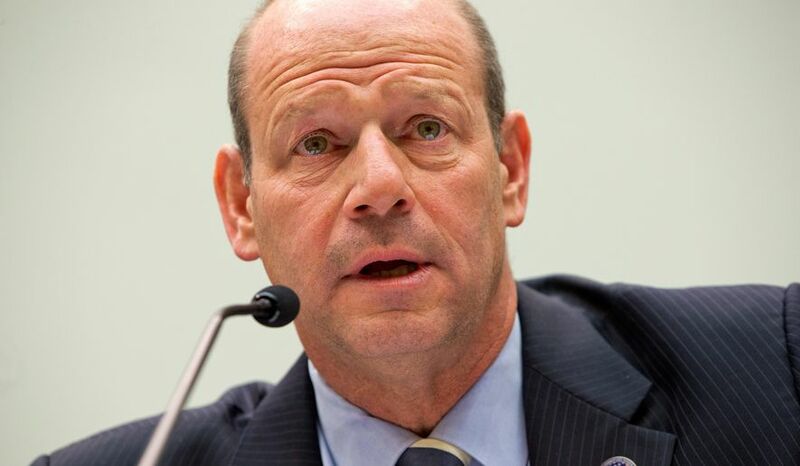 In his position as USCIS director, he was also an advisor to the Secretary of DHS. Three documents must be sent to the DHS Secretary: the USCIS Director’s recommendation with its basic rationale, but also the enumeration of negative factors so that the recipient is in possession of all relevant factors. Then the country conditions report, in its entirety, established by a research unit within RAIO, and thirdly the letter with the Secretary of State’s own recommendation. Being quite busy, the latter usually relies on the expertise of the USCIS. 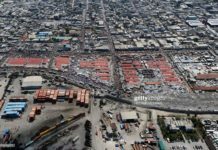 When the judge asked whether there was any difference between Haiti’s conditions before and after the earthquake, Rodriguez replied that the recommendation is based on a combination of conditions existing at a given moment. if you need a minimum of factors to renew TPS, it takes more to terminate TPS, since it is then a change of situation. The defense’s general argument was that conditions have improved in Haiti – which is true, in relative terms since the earthquake – and that there has been sufficient progress to terminate TPS. Rodriguez pointed out that the current conditions do not necessarily have to be related to the 2010 earthquake. There may be new extraordinary and temporary conditions justifying TPS extension. But this is where the DHS’s new strict interpretation of TPS under Trump kicks in: TPS can be renewed only if “the conditions on which the initial designation of the country was based” continue to be present. Another important point: if you need a minimum of factors to renew TPS, it takes more to terminate TPS, since it is then a change of situation. Rodriguez, who thoroughly studied the case, said: “Facts have been ignored. I would not have recommended the termination of TPS for Haiti. But even if I had, I should have brought to the attention of the DHS secretary these important factors.” For example, absent from the recommendation of his successor at USCIS, Lee Cissna, was the cholera epidemic that has become endemic with seasonal spikes, the GDP slowdown to 1.4% in 2016, the percentage of Haitians below the poverty line (59% with $2.42 per day), and extreme poverty (more than 2.5 million), remittances to Haiti of $1.3 billion from the Haitians living in the United States, which represent nearly a third of Haiti’s GDP, according to World Bank estimates for 2016. Note that Cissna eliminated in February 2018, the phrase: “USCIS secures America‘s promise as a nation of immigrants.” This is ironic because he is himself the son of Peruvian immigrants. But that’s understandable when you know Cissna’s role in the family separation policy of Trump – for whom he was an election campaign volunteer – or pushing immigrants to turn down government aid for infant baby formula and food for schoolchildren for fear of torpedoing their adjustment of status, for receiving public support can now be a black mark and invalidate an application for a visa or residence. He is also the one who launched investigations in June 2018 into “thousands of old records and fingerprint files to determine whether foreigners have made false or fraudulent statements in their attempts to obtain legal residence in the United States,” thus canceling their naturalization. 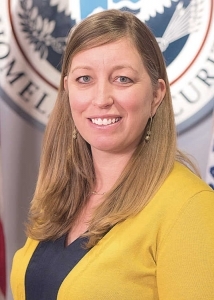 Kathy Nuebel Kovarik, the anti-immigration fanatic named in April 2017 to the key position of chief of the USCIS / DHS Office of Policy and Strategy. Before the end of the year she had prepared the ground for DHS Secretary Elaine Duke to cancel all the current TPS nations. Restricting the H1B visa was not the only thing that interested these anti-immigration fanatics. 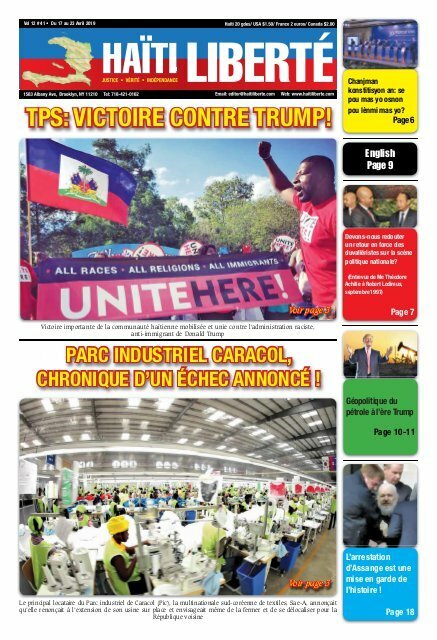 Five days after her arrival, Kovarik hastened to ask her staff, “before the end of the day if possible” (in bold in the memorandum), to determine the number of Haitian TPS criminals, those receiving public or private assistance, the number of times they traveled to Haiti, and the amount of remittances to Haiti. As disclosed in internal memos obtained through the Freedom Of Information Act (FOIA, the law requiring the administration to provide official documents at the request of the public), she had to send these data to her chief, John Kelly. Several officials were demoralized by these changes, particularly those of RAIO who wrote the basis of the report on Haiti. It’s not just about politics. 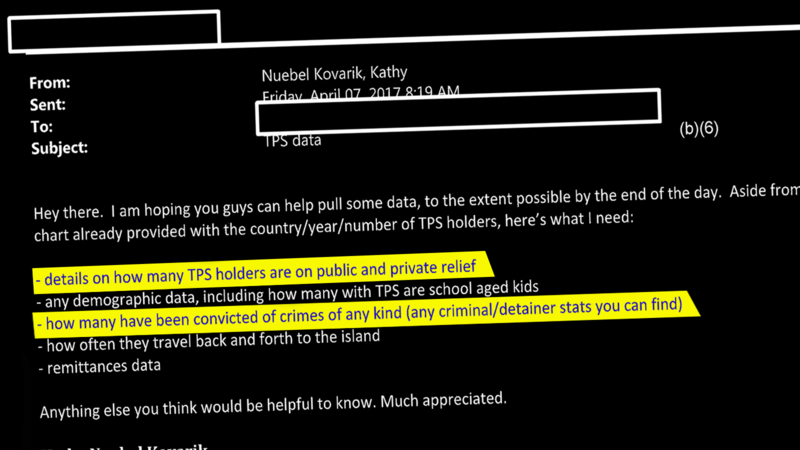 According to Rodriguez, in the case of the TPS there was “a fairly serious misinterpretation of the laws.” As we will see below, illegality and political pressure are clearly evident in the memoranda exchanged on TPS between DHS actors, obtained through FOIA, but many of which have been heavily redacted. “You can make your own policy, but you don’t ignore the facts,” Posner said. DHS and White House internal memorandums showing how politics influenced the TPS process. Elaine Duke had received many honors during her career, including the Presidential Meritorious Rank Award, the DHS Secretary’s Medal, the TSA Silver Medal for Customer Service, the Department of the Army Commander’s Award for Public Service, and the Coast Guard’s Distinguished Public Service Medal. Specializing in management, she had sworn at her appointment to DHS in April 2017: “If confirmed [by the Senate], I promise to lead DHS in enforcing the law with respect and integrity. I will be honest in my assessments and recommendations, and relentless in pursuing excellence. Such commitments are critical at this juncture in homeland security”. In February 2018, three months after “her” decision to terminate TPS for Haiti and others, Elaine Duke officially announced her resignation at the age of 59, after 30 years in government but barely a year at DHS. At the same time, also resigning was James Nealon, assistant secretary for international engagements in the DHS Office of Strategy, Policy & Plans, a former U.S. ambassador to Honduras, from whom Duke had desperately sought advice on TPS. Nealon was in favor of the extension and had sent, along with his colleagues in El Salvador, Nicaragua, and Haiti, cables warning that Honduras was not in a position to take back tens of thousands of deported TPS holders and their children born in the United States, who could be the target of attacks or recruitment by the powerful gangs of the country.